We bougth these last year for my 2 and 5 year old. 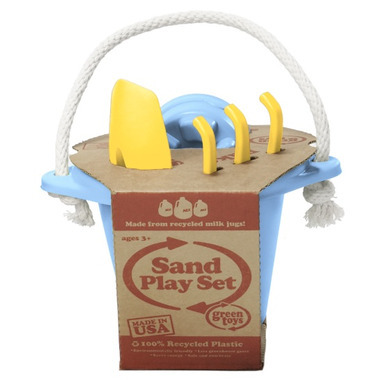 These are extremely well made and survived many days at the beach with young kids who play rough with their toys. ALL of our other sand buckets have either cracked or lost their handles. The Green Toys are a bit of an investment but we are buying a 3rd one for my 20month old this summer. This will last forever and the large rope as a handle is great as it wears well but will not break. The plastic is sooo sturdy I am not worried about this set breaking.... now all I have to worry about is losing them at the beach!! This is my daughters favourite sand toy. 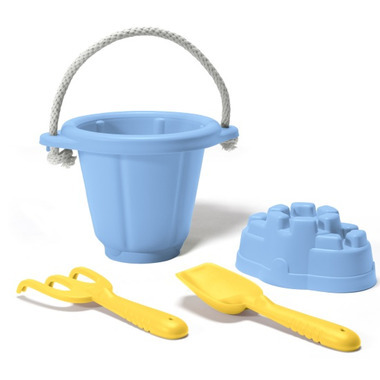 All of her other shovels or buckets have cracks in them but this one is so sturdy and well made. I love that the plastic is all recycled and toxin free. Thank you Well.ca for carrying Green Toys at such a reasonable price! I love Green Toys, great sturdy toys!